Langston Sibblies was appointed to the JLSC in accordance with section 105(1)(e). Mr. Sibblies was appointed to the position of Deputy Managing Director - General Counsel of the Cayman Islands Monetary Authority effective 1 August 2008. In this role he has direct oversight responsibility for three divisions: Legal, Policy and Development, and Compliance. He also assists the Managing Director with the supervision of matters pertaining to CIMA's policies and general management. Mr. Sibblies joined the Monetary Authority in September 2000 as Legal Adviser (title subsequently changed to General Counsel). He is a lawyer with over 38 years' experience practising in a number of Caribbean jurisdictions and in Ontario, Canada, in both the private and public sectors. In the public sector he served as Crown Counsel (Cayman Islands), Senior Crown Counsel (British Virgin Islands), Legislative Policy Counsel (Ontario), and Director of Public Prosecutions (Grenada). In the private sector, he has worked as a law editor with a leading Canadian tax and business law publisher and practised as a private lawyer in Jamaica and in Toronto, Ontario. Immediately prior to joining CIMA, Mr. Sibblies worked with the Cayman Islands Government Portfolio of Finance and Development, where he served as Executive Director of The Secretariat, dealing with various international initiatives impacting on the financial industry in the Cayman Islands. He has represented the Cayman Islands and the Authority in various meetings with regional and international bodies such as the OECD, the FATF, the CFATF, the IMF and IOSCO and delivered relevant papers relating to the regulation of the financial industry in the Cayman Islands at several local and international forums. In addition to his role within CIMA, Mr. Sibblies is also a Queen's Counsel (2009), Justice of the Peace (2008), and a Notary Public (2006). 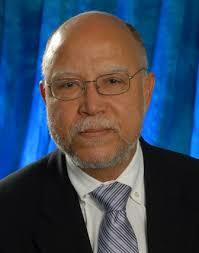 He has served as a member and Chairman of the Law Reform Commission of the Cayman Islands (2004-2010). Has also served as a member of the Cayman Islands Tax Information Agreement (TIEA) Negotiating Team, appointed by Cabinet in June 2009. In that capacity he participated in the negotiation of several Tax Information Exchange agreements on behalf of the Cayman Islands and represented the Cayman Islands at meetings of the OECD Global Forum on Tax Transparency and Information Exchange in Paris, France. Mr. Sibblies remains a member of the Law Society of Upper Canada (Ontario) in a non-practising capacity.